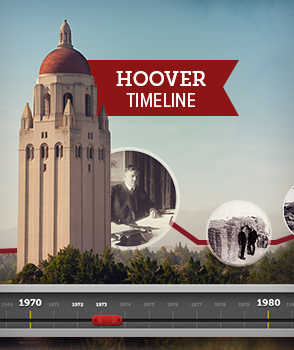 Ensuring that the Hoover Institution follows the path set forth by its founder, Herbert Hoover, and reaffirmed by its mission statement, the Board of Overseers acts as an advisory body to and a support group for the Institution’s senior administration. Members who have served on the board since the last report are listed here. The Board of Overseers advises and supports the Institution’s senior administration, ensuring that the Hoover Institution follows the path set forth by its founder and reaffirmed by its mission statement. This dedicated group of supporters, who contribute to the advancement of the Institution through their knowledge, experience, and leadership, meet biannually at Stanford and in Washington, DC.